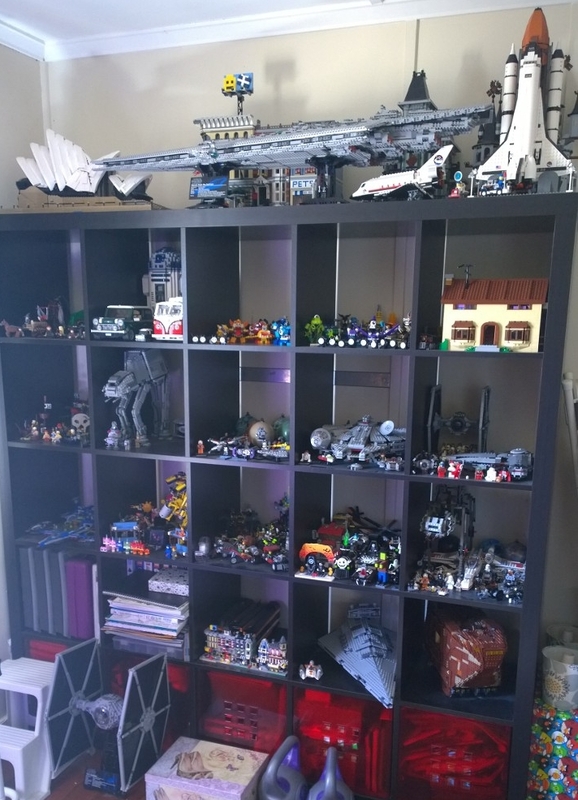 So I realise that the last time I did a Lego update was back in April last year. That’s a long time and a heap has changed. Saddest thing – I’ve had to pack up a whole heap. I have five giant rolling storage boxes filled with all the Lego I’ve taken apart. I dismantled all my Creator (minus the larger display sets), Technic, Minecraft & City (Police, Mountain Police, Fire & Mine). Was sad…but I just needed the room! So, with no further ado, here is where my collection and display currently stands. Hope you’ve enjoyed the update! That Imperial Shuttle is dope!